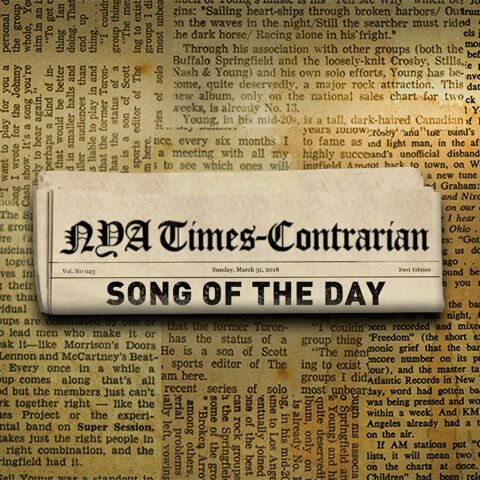 There is a new feature on Neil Young's Archives, a Song of the Day. Lately I have been in the habit of going into the archives and choosing a song to listen to at the end of the day. Now at NYA I am choosing a Song of the Day to share with you every day. You will find it posted on the cabinet door at NYA. Thanks! The 1st Song of the Day is "Scattered" ("Let's Think About Livin'") where Neil writes that the song was written for the late David Briggs, but reminds him of the recent passing of Gary Burden. The first one was Big Time. Broken Arrow is such an odd album in the Neil catalog. I've heard Neil say he didn't think much of it, but lately it appears to be very much on his mind. He mentioned it in his rant against Facebook, and now a song from it appears as song of the day. I always really liked that album, but I may be in the minority. Let's think about livin, let's think about life. Another big 'Big Time' fan here! I don't understand how people can love Crazy Horse 90's sound and hate this album; to me, it's the quinteessential NY&CH album: it's all about sound and texture. 'Big Time' is the song that I have chosen for my funeral and it's in my top 5 NY songs; the sound of the album (vinyl edition) is pure analogue pleasure. Makes me very happy read that Neil is change his mind about this album. Yes like others i really enjoy broken arrow. Scattered is a cool track. Song of the day is a great idea. Neil's comment about piece of crap is quite funny. Broken Arrow was the first album that came out where I was really becoming aware of Neil and getting into all his other stuff. I love it, the first 3 long songs on the album are great, 'Slip Away' being a personal favorite. 'Scattered' is brilliant, I just wish he would have thrown 'Interstate' on there at the end instead of that terrible live cover of 'Baby What You Want Me To Do'. Interstate is on the album release of Broken Arrow and it's the Bside of the Big Time CD single.Interstate is a great song.